QueryAgent-oriented formalisms are now increasingly used in artificial intelligence. Their success is partly due to their easy adaptation to the needs of distributed real-time applications. 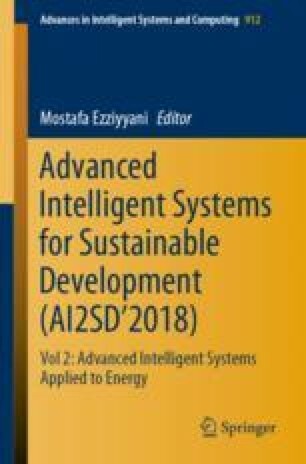 This paper explains the design and implementation of a novel platform called Secured Remote Control of Greenhouse (SRCG) for the remote control of the inside and outside climatic and also soil parameters that influence the production in greenhouses such as temperature, humidity, CO2 and soil moisture…. A Wireless Sensor Network (WSN) provides pertinent information that is used to supervise ventilation, heating and pump…. The use of SRCG avoids the needed to perform the monitoring actions on site. The platform described in this paper is simple to be installed and used by farmers who do not have knowledge in computer skills. Thus, all farmers can control their greenhouses from a distance device in an easy and an ubiquitous manner. They can control actuators to adjust these parameters (fan, heater, drip irrigation…). The architecture of the platform is based on Multi agent systems (MAS) and a Distributed Constraint Satisfaction Problem (DCSP). MAS gather, integrate, and deliver the collected climate’s parameter information from distributed sensors, and synchronize this information with a remote supervisor computer. Proposed SRCG has advantage that can handle situations in the far away area from the farms through PDA (Personal Digital Assistant) and mobile device, which shortens time, expense and supports agricultural decision-making. The prototype is built in Java employing general interfaces of both MAS and constraint programming (CP) platforms, using JADE and CHOCO libraries.